RUSTIC elegance is delivering millions of dollars as the popularity of the Sunshine Coast hinterland as a wedding destination soars. With the "vintage country theme" now particularly chic, couples are flying from London, Dubai and Abu Dhabi to marry their sweethearts in Maleny and its surrounds. As the dollars flow in, Range businesses are angling their wares to cater for the extra customers. Bookstores are stocking books filled with wedding theme tips and newsagents are building sections dedicated to wedding stationery and cards. Marlene Murray, the president of Maleny Montville Wedding Professionals, said the region was not only enticing the most meticulous brides but also had the credibility to provide for them. "We are probably having the busiest year of the decade," Ms Murray said. "We have suddenly become trendy. "There is the demand and we have the professionals who can service the weddings, from all the themeing and furniture to major decorating. "It's not just a little chocolate on a table anymore, it's whole outdoor rooms." Ms Murray, who is the manager of the prestige wedding venue Maleny Manor, said that of 120 current bookings only about two were from Sunshine Coast couples. "The visitors are dining out, staying a few nights and eating at the ice-creamery," she said. "We've scared ourselves a little with the numbers." 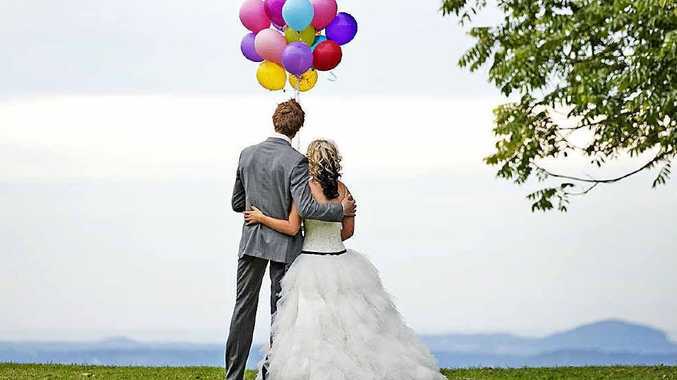 The 14 booked weddings to be held at Maleny Manor in September alone will inject at least $476,000 into the region through guests' accommodation, meals, stationery, hair styling, cakes, flowers and transport. Maleny Chamber of Commerce president Nathan Arrowsmith said the wedding industry was now one of the biggest in the hinterland. "They spend money on food and tell their friends how great it is here," he said. "It's actually invaluable to our economy having this industry here. "The whole formal wedding idea is going through a resurgence."